Typically warranted between 6 and 10 years. Our timber PERFORMANCE and ULTRA ranges offer excellent durability and longevity – including 10 year warranties for paint finishes and 6 year warranties for wood stains. 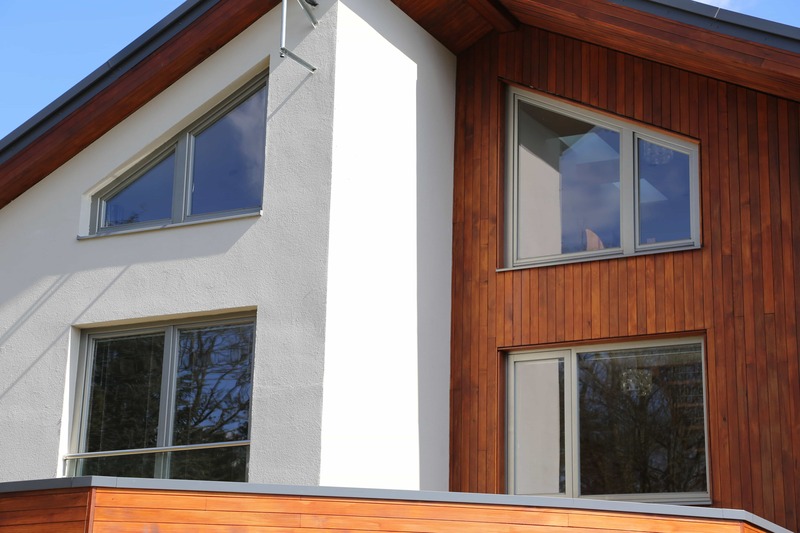 It is regularly claimed that the use of PVC or aluminium cladding results in a totally maintenance-free solution for windows and doors. However, in reality, no windows or doors are maintenance free: all need regular attention to ensure correct operation and optimum longevity. This will include lubrication and adjustment of hardware and even aluminium and PVC surfaces need scheduled surface cleaning to avoid excessive degradation. It is also worth bearing in mind that after around 10 years, both materials can begin to degrade with surfaces starting to lose their initial high quality surface appearance. Neither material can be easily re-painted. Painted timber offers a durable and sensible finish for windows & doors, often not requiring repainting for up to 10 years. When the time comes to refresh windows & doors, often all that is needed is a light sanding and one coat of stain or paint. For an average-sized house, this would usually require approximately 1-2 days of maintenance work and also gives an opportunity to rejuvenate the windows and refresh the appearance of the building. Aluminium cladding is also unsuitable for coastal locations due to salt corrosion. However, for projects where re-painting is not possible or for commercial applications where windows won’t be correctly maintained, aluminium clad windows and doors can be a preferred specification. Life Cycle Assessment of timber, modified timber and aluminium clad timber windows. Report commissioned by Wood Window Alliance.